Product prices and availability are accurate as of 2019-04-18 06:03:43 UTC and are subject to change. Any price and availability information displayed on http://www.amazon.com/ at the time of purchase will apply to the purchase of this product. THIS IS AN ORDER FOR A SAMPLE OF THIS PRODUCT. 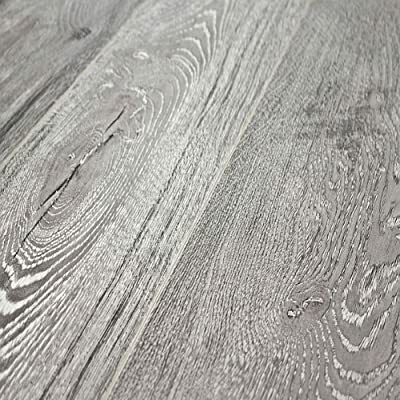 If you purchase with Bestlaminate, we will credit you the cost of this sample towards your flooring. Free shipping applies to ONLY THIS SAMPLE, other orders from Bestlaminate are subject to shipping charges. Make the soft but bold change your room needs with Umber/Silverado Grey Oak! Kronoswiss is here to offer you a 12mm laminate that will completely change your interior with its luxurious and elegant tones of gray. Gray laminates are so in right now; pair them with bright colors for a fun and springy look, or whites, creams, and soft blacks for a modern refined design!